AGI’s Active Dual-Mode Electrode Cables (U.S. Patent 6,404,203) are used for ultra-sensitive automatic induced polarization (IP) measurements using nonpolarizable electrodes. The dual-mode electrodes have a receiver channel that is isolated from the transmitting stainless steel electrode. Methylene chloride, used in processing chemicals and pharmaceuticals. Perchloroethylene, used in dry cleaning and metal surface cleaning. Trichlorethylene, used in refrigeration and HVAC systems. Receiver wires are electrically shielded from the transmitter for a noise-free measurement. Distributed switching instead of a centralized switching box allows for thicker wires which will output more current. 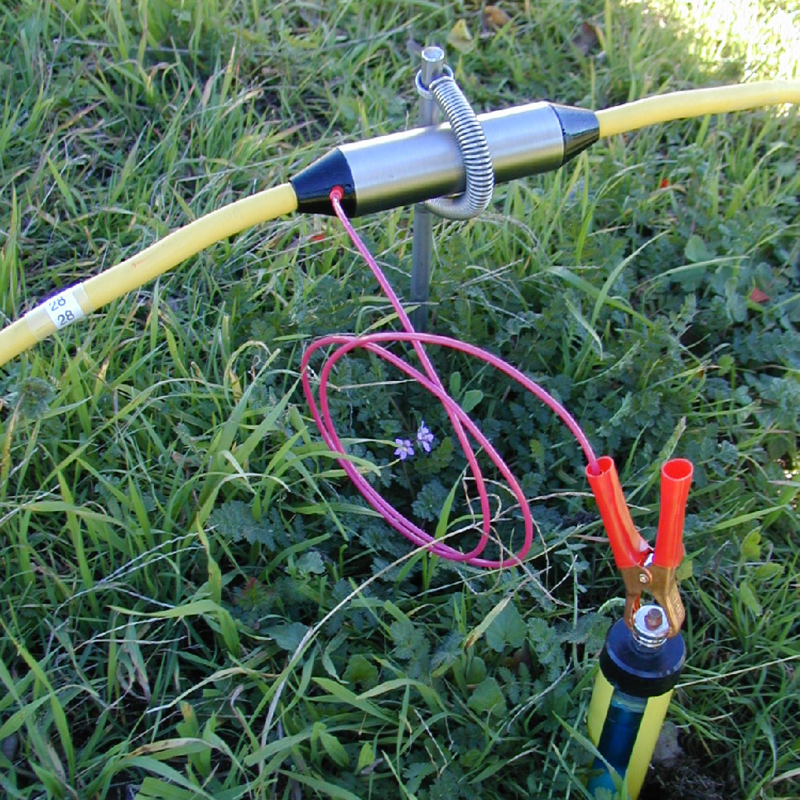 Transmits through the stainless steel stakes and receives through the non-polarizable electrodes for more sensitive measurements, especially during induced polarization (IP) surveys. Dual-mode electrodes with a patented separate receiving channel.